The American College of Obstetricians and Gynecologists (ACOG) recommends the option of screening for all pregnant women regardless of age. Prenatal testing can provide valuable information about a baby’s health. Screening can help to identify pregnancies at an increased risk for some birth defects and chromosome abnormalities. Screening poses no risk to the baby. There are several different screening tests available. Some of the more common screening tests are first trimester screening, second trimester screening and sequential screening. First trimester screening is typically performed between 11 and 14 weeks of pregnancy. Second trimester screening, also called the quad screen, is typically performed between 15 and 20 weeks of pregnancy. Sequential screening is a combination of first and second trimester screening results. Time of pregnancy along with other factors can help determine the most appropriate test. First trimester screening includes a measurement of two substances in a pregnant woman’s blood and an ultrasound of the back of a baby’s neck. 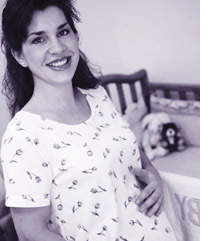 Second trimester screening is a measurement of four substances in a pregnant woman’s blood. For both tests, a small amount of blood is taken from a pregnant woman. The blood is sent to a lab for analysis. The lab looks for several substances that are in the blood as a result of the pregnancy. Some of the substances are made by the baby. A mother’s age, race and weight also play a role in the levels. Screening tests pose no risks to the baby. Risks of testing may include bruising or soreness at the site of the blood draw. All women have some risk of having a child with a birth defect or chromosome abnormality. Both first and second trimester screening results give information specific to each pregnancy on the risk of having a child with Down syndrome or trisomy 18. Second trimester screening gives additional risk information for trisomy 13 and neural tube defects such as spina bifida. Many women use the screening results to determine whether they will proceed with a level II ultrasound and/or diagnostic testing. ACOG recommends that all women with abnormal screening results be offered genetic counseling and the option of diagnostic procedures. Who should consider prenatal screening? All pregnant women have the option to undergo prenatal screening. It is important to remember that prenatal screening is optional and results indicate the risk of carrying a baby who has Down syndrome, spina bifida or other condition, but not whether your baby actually has one of these conditions. Before screening, think about what the results will mean to you. Consider whether screening will be worth any anxiety it may cause, or whether you’ll handle your pregnancy differently depending on the results. Accuracy is dependent on the specific screening test ordered as well as the lab performing the testing. Prenatal screening does determine the risk for the current pregnancy to be affected with specific chromosome problems or birth defects; however, only diagnostic testing can determine whether a pregnancy is truly affected. An abnormal test result may indicate the need for additional testing, such as ultrasound, chorionic villi sampling or amniocentesis. An abnormal test result does not necessarily mean there is a definite health problem with the pregnancy. Further testing options can be discussed with a doctor or genetic counselor (see the prenatal diagnostic tests fact sheet for more information). Prenatal screening is a simple blood test on the mother’s blood. Screening poses no threat to the mother or to her baby. Prenatal screening is optional. Questions regarding screening can be discussed with a physician or a genetic counselor. A normal screening result can be reassuring but it does not guarantee a healthy baby. 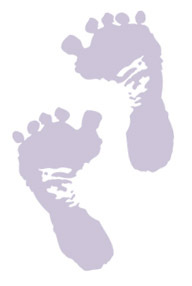 Not all birth defects or genetic conditions are identified through screening. An abnormal screening test does not always mean there is a problem with the baby. Further testing options can be discussed with a doctor or genetic counselor.